A federal district court judge will no longer accept the United States government’s secrecy arguments and has ruled that it must release thousands of photographs of detainee abuse and torture in Afghanistan and Iraq, including inhumane treatment at Abu Ghraib prison. The government is “required to disclose each and all the photographs responsive” to the Freedom of Information Act request submitted by the American Civil Liberties Union (ACLU),” according to the order by Judge Alvin Hellerstein of the US District Court of the Southern District of New York. Hellerstein found that the government still had failed to justify keeping each individual photograph secret. However, the judge stayed the order for 60 days so the Solicitor General could determine whether to file an appeal. The ACLU has pursued the release of records related to detainee treatment and “the death of prisoners in United States custody and abroad after September 11, 2001,” since October 2003. In October 2009, the Protected National Security Documents Act amended the Freedom of Information Act to “provide that photographs could be made exempt from disclosure for a three-year certification by the Secretary of Defense to the effect that publication would endanger American lives.” Prime Minister Nouri al-Maliki asked President Barack Obama not to release photographs of detainees abuse, for “fear of the consequences.” Secretary of Defense Robert Gates filed a certification to prevent the release of photographs and the court upheld that certification. Three years later, Secretary of Defense Leon Panetta renewed the certification, even though US troops had withdrawn and the war in Iraq had been declared over. Hellerstein found that Panetta’s certification failed to show why the release of the photos would continue to “endanger the citizens of the United States, members of the United States Armed Forces or employees of the United States Government deployed outside the United States.” He contended different circumstances existed when Panetta renewed the certification in 2012. He also agreed with the ACLU that Panetta’s certification should have dealt with each individual photograph and not been a blanket certification to keep all photographs secret. The government disagreed with Hellerstein’s decision on August 27, 2014, where he ruled the certification was inadequate and instructed them to individually review the photographs and inform him why each photograph could not be released. Attorneys maintained the government had already gone through each photo back in 2012 and did not have to do an individual review again. Hellerstein did not buy the argument from the government that the Islamic State would pose a greater threat if the photographs were released. As Newsweek reported, he contended soldiers and citizens were as “exposed” as they were when the court favored release in 2005. It had been over half of a year since Hellerstein ruled that the certification was “inadequate.” The government made a last-ditch attempt to thwart the judge’s order by pleading for more time to re-certify the photographs so they remain concealed. Hellerstein rejected the plea for more time and indicated the “government gives the court no reason to believe the 2015 certification” would be any better than the previous certification in 2012. 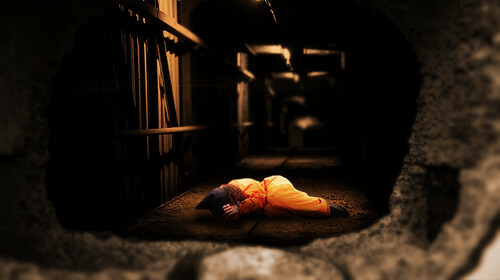 The government has succeeded in keeping photographs of detainee abuse secret for about a decade. It is likely to appeal, which means more delays of the judicial process. It means more time passes as interrogators, officers and officials responsible for the depicted abuse and torture do not have to answer for their conduct. Still, it is hard to diminish the significance of the judge finally giving up on the government and deciding to order the government to stop the secrecy games. Release the photographs now.